Home /Apps/Whatsapp vs. Telegram. Which one fits you best? Instant messaging does not date back to a long time ago, and yet it is undeniable the tremendous impact it has brought upon today’s society. From being a primitive process used on multi-user operating systems to quickly revolutionizing the way we communicate nowadays. Instant messaging is now a present fixture among billions of people worldwide thanks to how easy it makes it to communicate with virtually anyone via real-time texts, without the need to meet face-to-face, or even have an oral conversation. In the past ten years, the versatility of both smartphones and instant messaging has brought with it an endless array of IM apps that, overall, make social life easier allowing for activities such as real-time texting, voice messages, the sharing of files, voice and video calls, etc. Needless to say, given among this long list of IM apps, there are some that are better than others, taking the lead in the instant messaging industry. Two of such leading apps are Whatsapp and Telegram, the most popular IM platform in the past couple of years. In regards to basic features and performance, both apps are quite similar to one another, and that usually tends to make the decision of choosing the one perfect for your needs a tad difficult. In this in-depth analysis of both platforms we will remark upon the strengths and weaknesses of boths app with the sole purpose of helping you choose the best one based on your wants and needs. As we mentioned before, there are certain basic features that are standard for any respectable IM platform. Said features are coincidentally the ones that mainstream users tend to use the most without paying attention to specific details, which is fine if you’re someone that uses IM apps to communicate with others from time to time. Consequently, both Whatsapp and Telegram offer real-time text messaging, voice note messages, voice and video calls, file sharing (including photos, videos, and documents). Also both apps display a delivery confirmation and a read receipt. Following the current rave of the 24-hour status updates, Whatsapp recently added that feature to its platform. Unsurprisingly, it’s a total success; even more so, because your status can only be seen by your contact list, and not just everybody, which makes more private. To this date, Telegram doesn’t offer status updates, nor does it seem to want to. Surprisingly enough, Telegram has yet to support video calls, whereas Whatsapp has offered them for a long time now. What Telegram does have that Whatsapp doesn’t, though, is a Channels feature: They are, in essence, a feed where a person (or a set group) posts information about a specific topic, without any feedback whatsoever. Both apps offer the creation of group chats, but the main resides in the number of members available for each platform. Whatsapp has a limit of 256 people per group, whereas Telegram allows for a whopping 100,000 people per group, clearly outnumbering Whatsapp by a lot. Both apps also have native apps for the major platforms like Android, iOS, MacOS, Windows, Windows Phone, Nokia. However, Telegram also offers a native app for Linux, Whatsapp doesn’t. Telegram and Whatsapp have a web interface where users can perform almost the same activities. 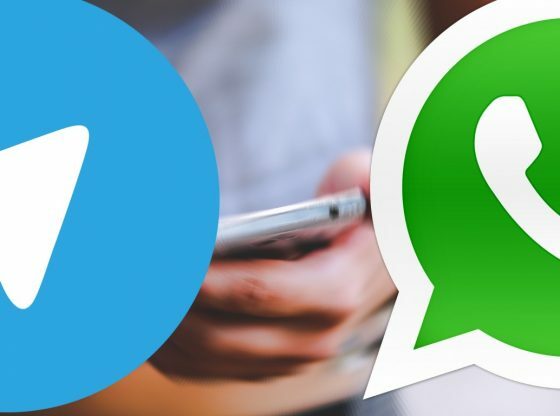 The main difference is that the Telegram client doesn’t require the app to be installed on the smartphone, and to access Whatsapp web it is mandatory. When we talk about “Visual chatting elements” we refer to extra items and tools to make our messages look expressive, or to make more emphasis on what we want to convey to others. On the one hand Telegram supports GIF images and stickers. On the other hand, Whatsapp supports GIFs as well and also emojis. One useful tool only available in Whatsapp is that now you can make your text bold, italic, or strikethrough. Depending on how you use your IM app of preference, you may want to keep a record on the activity taking place in it. For this purpose Telegram has its own proprietary cloud where all your activity is stored. Whatsapp, on the other hand, has an option to manually set a syncing configuration of only your chat history, stored on Google Drive. Users can send a wide variety of files among each other, including photos, videos, documents, audios, locations, and contacts. For Whatsapp there’s a size limit of 16 MB per file, and with Telegram you get to send files up to 1.5 GB. Telegram is the only one of the two to offer support for chatbots, which are AI controlled chats created to perform very specific tasks. The two platforms make use of the best encryption codes known, which are virtually uncrackable, i.e. they use 256-AES encryption codes. Whatsapp features end-to-end encryption to all chats, including group chats. Conversely, Telegram only encrypts their famous “secret chats” that self destruct after a previously set time, and don’t allow for forwarding and/or screenshots. All in all, both platforms offer a large array of features and tools to enhance your IM experience, with clear advantages and disadvantages over each other. To select one over the other would absolutely depend on a person’s needs.